Thanks again to Norm of for the words and pictures. The cold start fast idle is to assist in easier starting, and to facilitate faster warm up; but it can exacerbate a disconcerting rattle before oil is fully delivered throughout the engine. There is some conjecture as to whether this "lack of oil" rattle is detrimental to engine longevity, but the consensus of opinion is that it is NOT. It has been found that the use of synthetic oil, and the use of the smaller (later) oil filter alleviates the rattle symptom to some degree. However, many 80sCOOL members have complained about what they consider to be "excessive" cold start fast idle speed with 1FZ-FE engine. The fast idle speed seems to vary from vehicle to vehicle, and is usually somewhere between 1,200 and 2,000 rev/min. It is controlled by the ISC (idle speed control) valve. 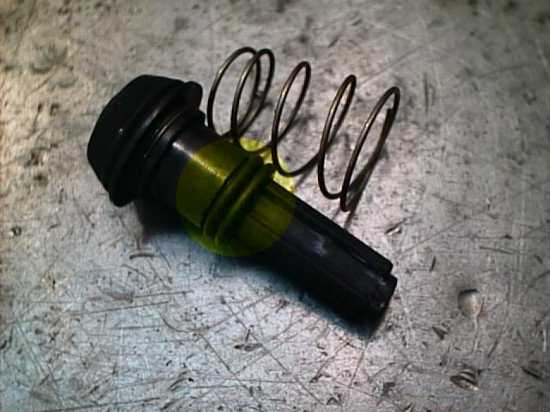 This valve is simply a device which allows more or less air (as determined by ECU) to bypass the throttle butterfly, and thus affect idle speed. In other words; without the throttle butterfly being opened by the driver, the ECU will allow more air to bypass for an increase in idle speed, or less air to bypass for a reduction in idle speed. On cold start, sensors seeing low temperature cause the ECU to open the ISC valve fully. "Excessive" cold start idle speed can be reduced by "fiddling" with the ISC valve to shorten it's stroke. 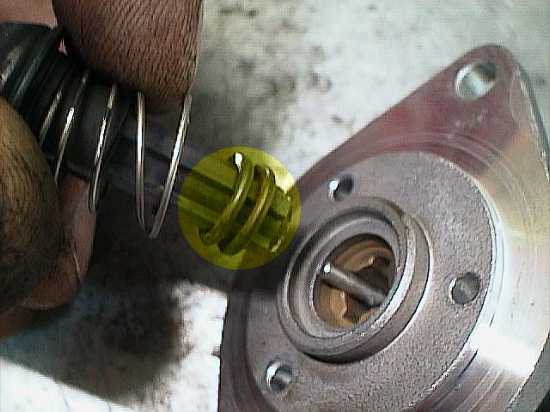 This modification works by reducing the distance that the ISC valve can open, and thus reducing the amount of air allowed to bypass the throttle butterfly. PROCEDURE (hopefully, the pics are self explanatory) Unplug the ISC valve connector. Remove the valve by undoing the two phillips head retaining screws. Separate the valve by undoing the three phillips head screws. 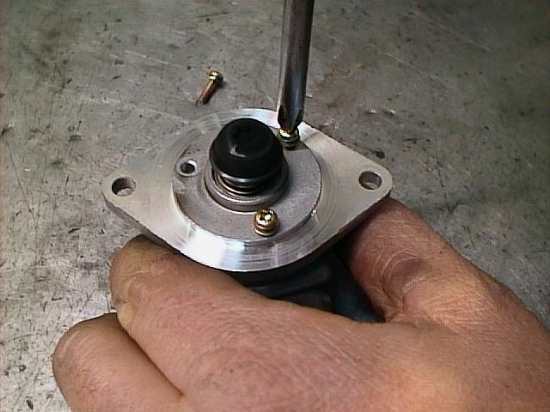 Remove shaft by rotating motor (not seen in pic because it is behind flange). Place O ring(s) on shaft. O rings are 8mm ID x 1.5mm section (or 5/16" ID x 1/16" section). 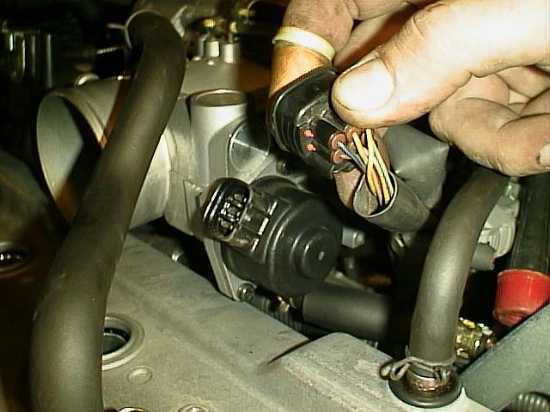 If your engine normally reaches around 2,000 rev/min on cold start, two O rings may be needed. Shows O ring(s) in position they will assume after unit is re-assembled. Be sure that the three small phillips head screws are secure. A drop of loctite is good insurance. Should one (or more) come loose, it/they can be ingested by engine with catastrophic results. Index the valve to be fully open (shaft all the way in). This will duplicate normal cold start position for the next start-up. 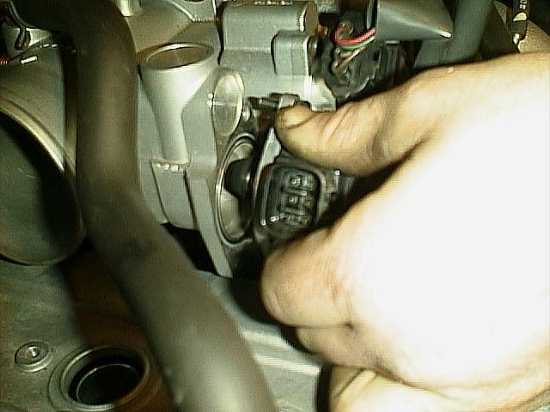 If the valve is indexed in the closed position, the first start may be difficult and need some throttle opening if the engine is cold. After first start it will return to normal operation.